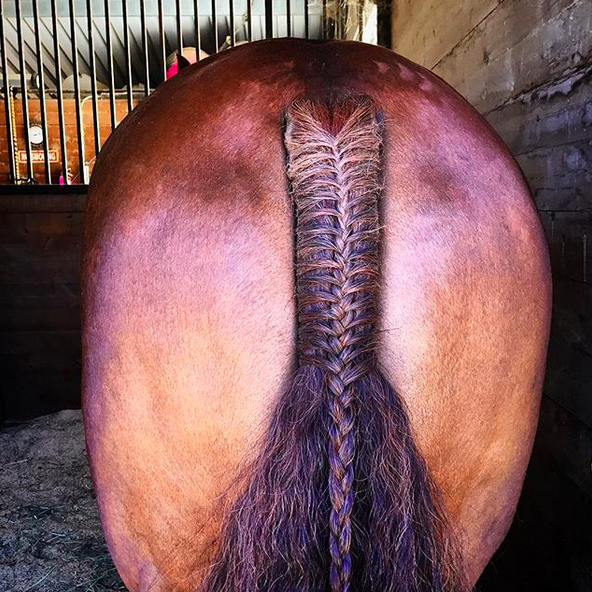 A well-braided tail brings the entire look of a show horse together — and these four from last week’s photo challenge have the braid down to an art form! #throwback to back before I even knew this ? would be mine ? #meandmydino #uvmtrex #goriding photo by me!